Take the first step to changing your life and improving the lives of others. 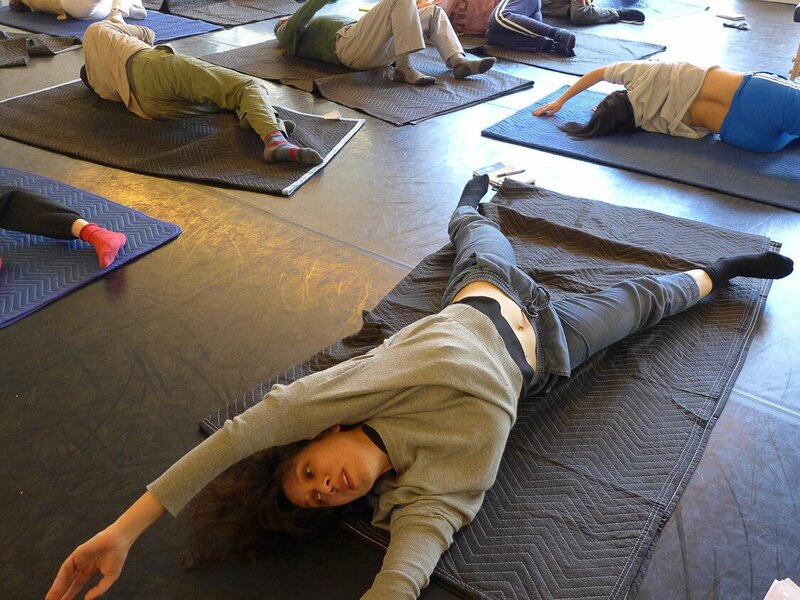 Train to become a Certified Feldenkrais Practitioner. Train to become a Certified Feldenkrais Practitioner with the confidence and competence to build a successful practice in the Feldenkrais Method® of somatic education. We’re happy to announce that the 2018–2020 Feldenkrais Training Academy is full, and closed to new registrants. We encourage you to browse around to learn more, and contact us anytime. New to the Feldenkrais Method? Click here to find out more and try a class! Why become a Feldenkrais practitioner? Being a Feldenkrais practitioner can be the most rewarding work you’ll ever do – fascinating, challenging, and fulfilling. Imagine helping people live their lives more fully, comfortably, and with renewed vigor. Imagine a career where every day you are effective, creative, and inspired. Discover why people become practitioners. It’s for those wanting a career helping others profoundly improve their lives. Whether your intention is to open an independent practice or incorporate the work into another profession, this training will help you realize life’s full potential for yourselves and others. There are no prerequisites except a desire to delve deeply into yourself and the Feldenkrais Method. Led by one of the world’s most respected Feldenkrais trainers, Jeff Haller, Ph.D., our passionate, dedicated, and experienced team will give you unprecedented support and guidance. Going beyond standard training curricula, the FTA includes year-round learning, mentoring groups, self-assessment tools, clinical supervision, and business/marketing training. Hear about our unique approach. This is your first step towards becoming a certified Feldenkrais practitioner. Your learning is year-round: In addition to in-person segments, the training includes weekly assignments, monthly online classes, and online mentoring groups every other week. You’ll get the support you need, with your own experienced mentor as well as a small mentoring group. You’ll get the experience you need, receiving significant clinical supervision and teaching a wide variety of Awareness Through Movement® and Functional Integration® lessons. You’ll know where you stand and what you need to work on: The training includes ongoing self-assessment to address your emerging strengths and weaknesses as you train. You’ll be part of a committed community that thinks deeply, shares its talents, and digs into the work together. Each person is committed to developing the skills, experience, and knowledge they need to have a prosperous, satisfying, and successful career in the Feldenkrais Method. The Feldenkrais Training Academy is a reinvention of how Feldenkrais practitioners have been trained. Our goal is to ensure that graduates are competent and confident, with the skills and experience they need to build and maintain successful Feldenkrais practices. Attend a pre-training workshop in your area to see what a day in the training is like! You’ll experience Awareness Through Movement group classes, watch demonstrations of Functional Integration lessons and practice your own hands-on work, engage with the principles of the Feldenkrais Method, meet our staff, and more. Sensing ground forces in ATM class. Watch the Feldenkrais Method in action; dig deep into interviews and articles; join us at upcoming events; and lots more. 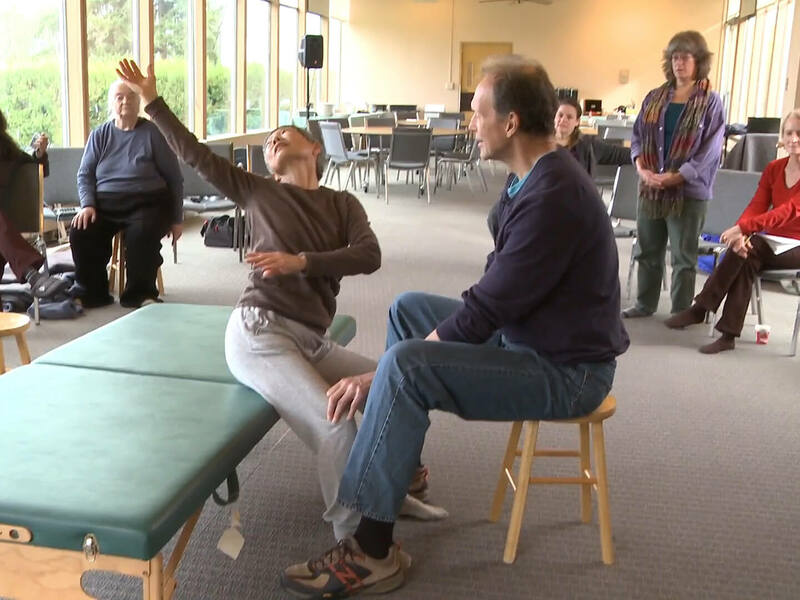 Jeff’s exceptional vision and clarity of the Feldenkrais training process is matched by his deep, unwavering support for students and Assistant Trainers in their individual learning journeys.